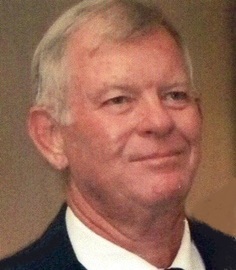 Harvey Dale Barbee of Plano, Texas passed away January 30, 2015 at the age of 74. He was born August 14, 1940 to Harvey Otis and Elva Mae (Satterwhite) Barbee in Winters, Texas. Dale grew up in Lawn, Texas. He married Sue Boaz in 1964 and they recently celebrated their 50th wedding anniversary. Dale served his country proudly in the United States Army. After his military service, he became a Dallas Police Officer. He retired after 32 years of dedicated service. He was an avid golfer and was inducted into the Texas Police Federation Hall of Fame for golf. Dale's greatest love was for his wife, daughters and their husbands, beloved grandchildren and let's not forget his love for country music! He is survived by his wife, Sue Barbee of Plano, Texas; daughters, Stephanie Simmons and husband Paul of Cleveland, Texas, Shawn Newland and husband Ricci of Austin, Texas, and Sheri Mora and husband Mike of Adams, Tennessee; grandchildren, Ramsey Simmons and wife Jenna, Kadon Simmons, Jewell Simmons, Addison Newland, Lexie Newland, Travis Mora, Grant Mora, Sam Mora; sister, Jeanne Hilliard; brother, Jerry Barbee; in-laws, Tommie and Bobby Jenkins, Cherrie and Richard Cervin, Dee and Meade McClure, and Deanie and Mike Renouf; and a host of nephews, nieces and cousins. Dale was preceded in death by his parents; mother and father-in-law, Jewell and Otho Durwood Boaz; brothers, David and Donald; sisters, Judy and Robbie Faye, and brother-in-laws Donnie and Leon. A funeral service will be held 2:00 p.m., Tuesday, February 3, 2015 at Turrentine-Jackson-Morrow Funeral Home in Allen, Texas with Chaplain Steve Roland officiating. Interment is to follow the service at Ridgeview Memorial Park in Allen, Texas. The family will receive friends during a visitation on Monday evening from 6:00 pm to 8:00 p.m. at the funeral home. Memorials may be made to Assist the Officer Foundation at atodallas.org, Cancer Research Institute at Cancercare.org or cancerresearch.org.